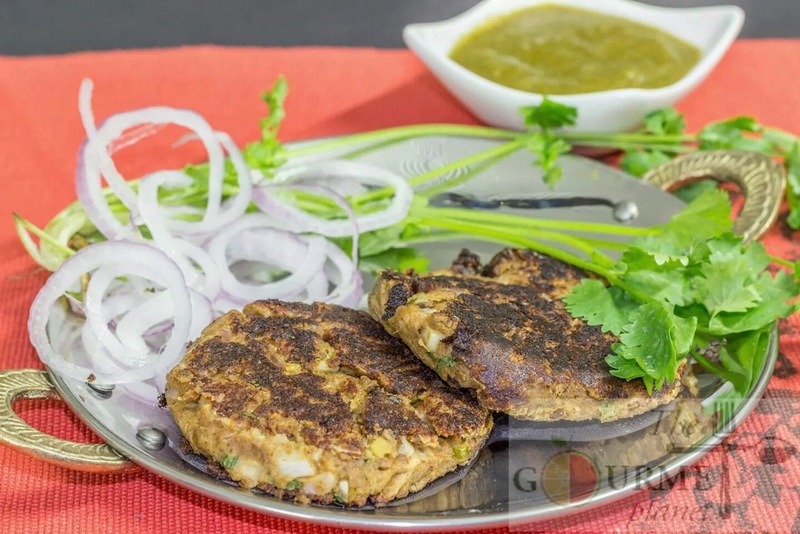 Culinary Delights from My Kitchen: Vegetarian Shaami Kebab...a tryst with royalty! I come from a city which is known for its culture, architectural heritage and sumptuous lip smacking Awadh cuisine. Oh yes! You named it right, i belong to Lucknow, fondly known as the ‘City of Nawabs’ or the ‘City of Tehzeeb’. It is no exaggeration to call the capital of Uttar Pradesh, one of the finest cities of the country in terms of mannerisms and culture. The culture of Lucknow has a great feel and is an amalgamation of complete sophistication, warmth, manners (etiquette), courtesy and a fine taste in standard of living. Many cultural traits of the city have become the landmarks of ‘Tehzeeb’. The heritage of Lucknow not only excels in culture but has shown a profound presence in dance, music, literature, Urdu poetry, drama and food. Lucknow's Awadh cuisine is world renowned and has a unique nawabi style attached to it. Some of the major highlights of the list being Kormas (gravies), Dum pukht Biryani and kebabs. Just looking at an elaborate layout of Lucknow cuisine will make your mouth water. The most famous of all dishes are the succulent Kebabs (pan fried meat balls) which Lucknow and its residents are proud of. 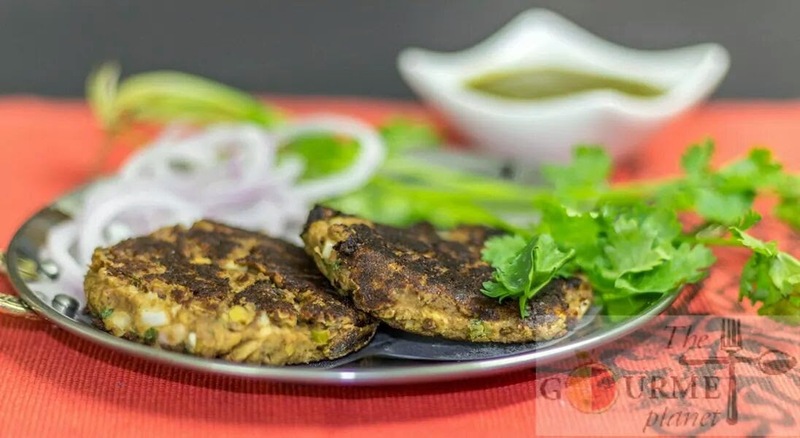 My today's post is a vegetarian version of the succulent and much celebrated Shaami Kebabs from Lucknawi Cuisine and is undoubtedly a show stopper in all the parties and get together at my place. The kebabs are rich in protein, flavorsome, loaded with spices and some of curd and melt in mouth delights, which makes this an apt introduction to all my readers to Swad-e-Awadh journey. 2. 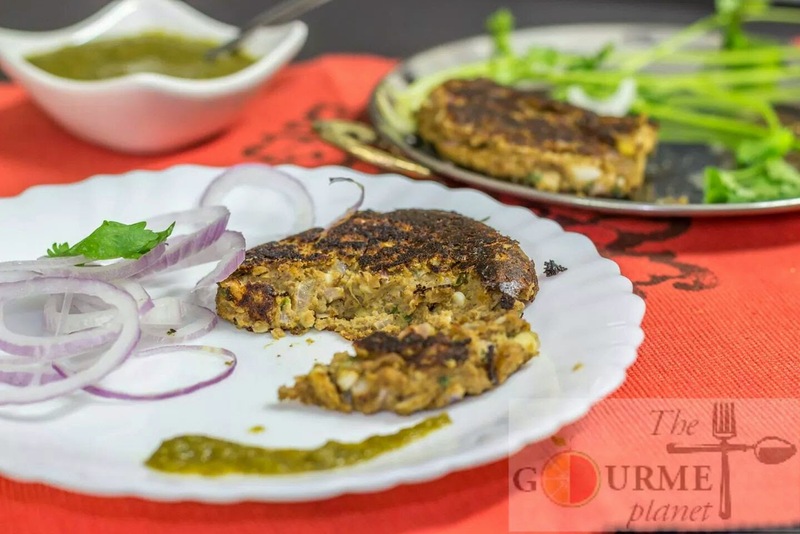 Next day, add the ginger garlic paste, garam masala, salt and pressure cook them with minimum water just to ensure that the lentils get boiled well but there is not too much water after pressure cooking. 3. Turn off the gas stove after 3-4 whistles. Let the pressure release on its own. NOTE: Once you open the pressure cooker lid ensure that there is not much water. Boil in open till some water evaporates. Too much water will make the kebab dough watery. 4. Once the lentils are done, blitz them in a blender in batches along with the curd. NOTE: Do not make its paste. Keep it a bit grainy as it will gives a good texture to the kebabs. 5. Transfer the lentil-curd mixture to vessel. NOTE: If at this stage, you see the mixture to be runny, then heat a pan, simmer the gas and saute the mixture by constantly stirring it so that the additional water gets removed. 6. Add finely chopped onions, garlic, ginger and green chillies and some garam masala if needed still. 8. Now heat a pan and melt some ghee and swirl the pan so that the ghee spread across the pan. 9. Spoon out a mixture and place it on the tava/griddle. NOTE: Do not overcrowd the griddle. You could put 4 at a time if using a bigger griddle else two at time. This will ease out the process of flipping the kebabs on the tava. 10. While the kebabs are getting cooked, keep the flame low-medium. Fluctuating in between the two as needed. 11. Add half teaspoon of melted ghee on the kebabs and flip them. Now let another side roast for sometime. 12. Once both the sides are done and well browned, transfer them to a platter and serve with mint chutney and sliced onions. Thanks sooo much Suja :) Just started to blog a few months back but yeah i am enjoying. Finally i have a collection of my recipes and my inventions :) Right away hoping to you blog. Thanks so much dear for dropping by!